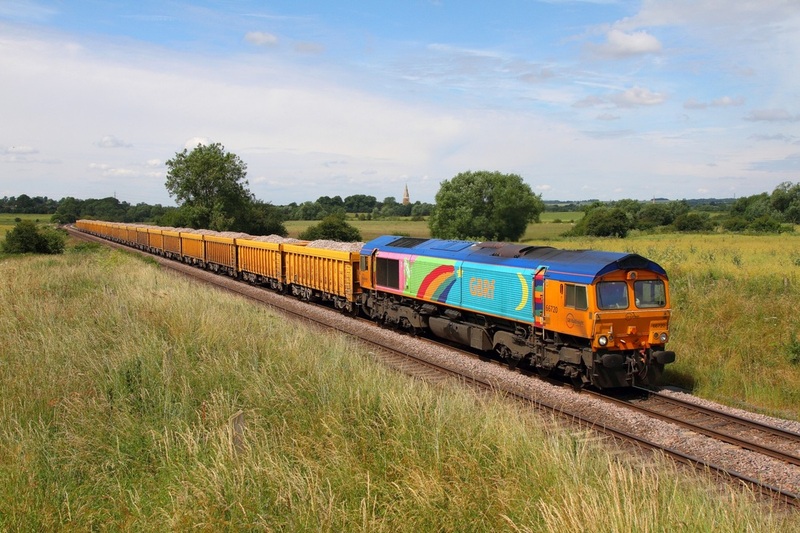 GBRF 66720 works the 6L25 Mountsorrel to Whitemoor loaded ballast at Copley' Brook near Melton Mowbray running 35 minutes late on the 26th June 2014. 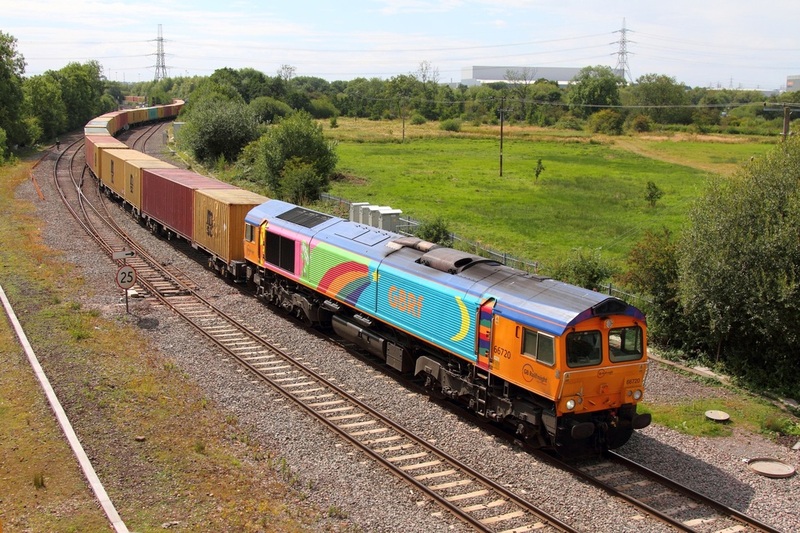 On the 25th July 2011, GBRF's Rainbow liveried 66720 leads the 4L22 Hams Hall to Felixstowe approaching Whitacre junction after joining the mainline from Hams Hall. Unconventional of a standard loco livery, the striking GBRF 'rainbow' liveried 66720 leads First GBRf liveried 66723 'Chinook' on the 4V94 10:12 Doncaster Robert Roads Shed to Portbury GBRF Biomass train at Charfield on the 16th April 2012. The eye-catching livery was designed by 6 year old Emily Goodman and ex-Metronet Pathfinder 66720 carries a different version on each side, a daytime version and a night-time version.